Yes! 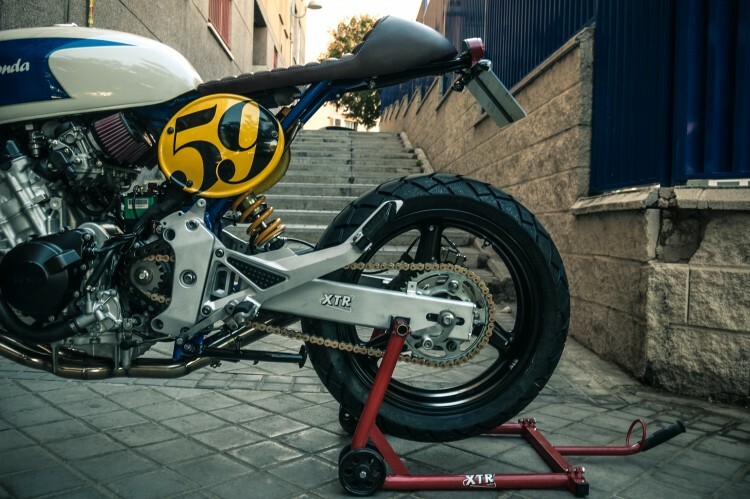 Another build by our friend and unstoppable builder Pepo Rosell, or better XTR Pepo. If I get an email with his latest build, it’s always a bit exciting. What did he create this time? It’s never a dull bike, and every single creation has something cool. 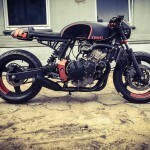 This time he took a Honda CB600 Hornet as a base bike. A bike that does nothing wrong, but also never really stood out. I usually think about my riding lessons when I think of a CB600. It’s simply not a real exciting machine, but when you leave one in the workshop of Pepo, you can really expect something cool. 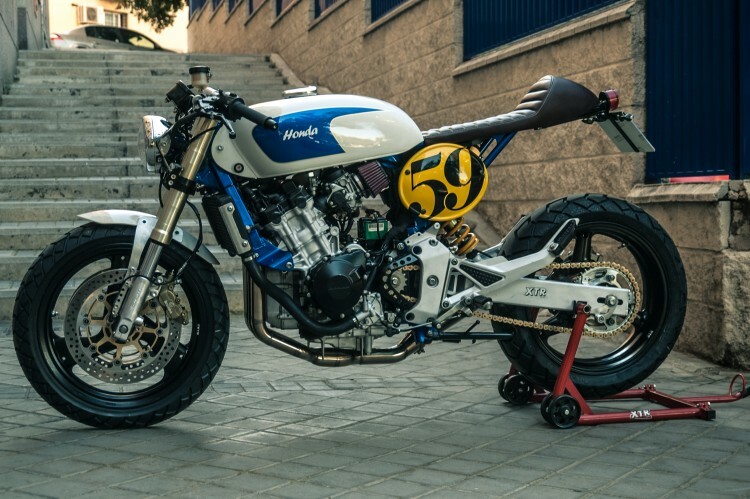 As far as I remember, I’ve only featured one really cool CB600 Hornet Cafe Racer. 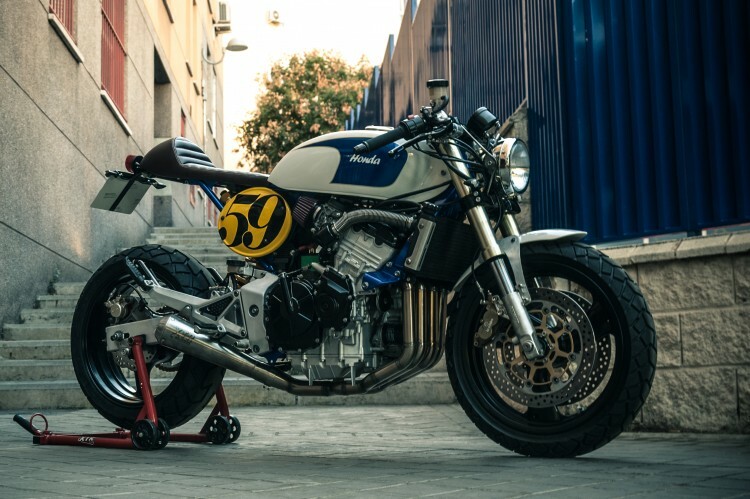 Pepo found a CB600 in a pretty good shape and created real cool “XTR Pepo worthy” CB600 Honda cafe racer. And as expected, there’s nothing much original left on this bike. 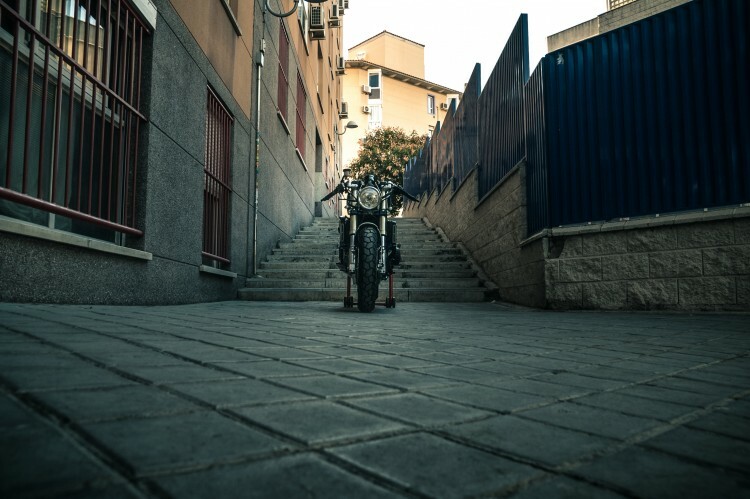 The front end comes from a Ducati Monster. He took the USD fork, yokes, wheels and brakes. Brakes come from Brembo and the discs are from NG, the brake pump comes from a CBR1000 with new Frentubo kevlar brake lines. He mounted a set of adjustable clip ons from Tomaselli and the fron mudguard comes from a BMW R nineT which are mounted on custom brackets. 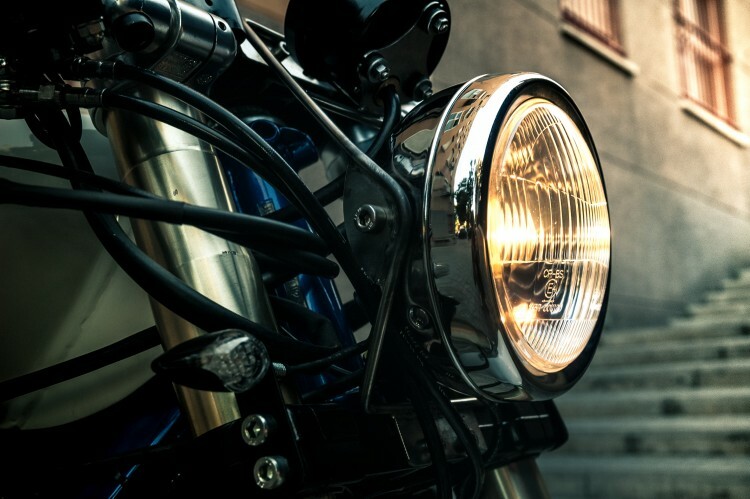 The classic looking headlight comes from a Mash motor. 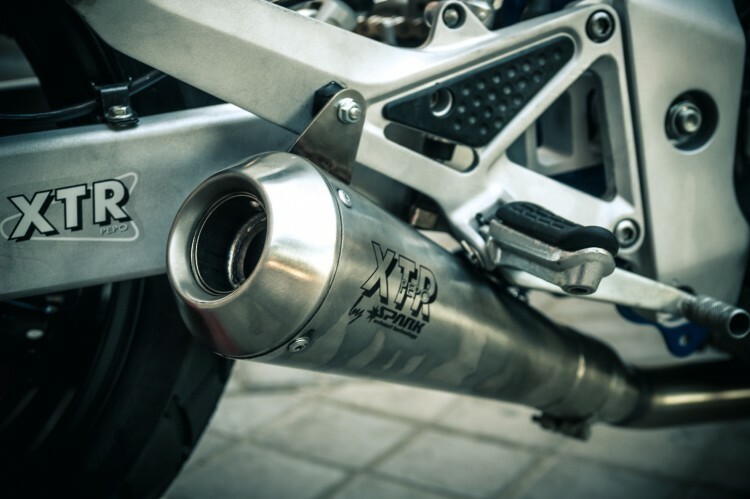 The LED indicators are custom by XTR. 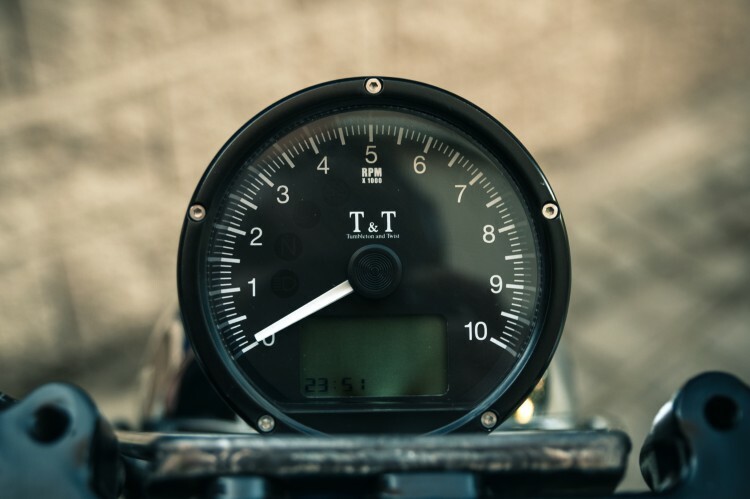 The beautiful speedo is from TT. 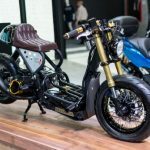 The frame is modified to fit the custom XTR cafe racer seat with genuine Italian leather upholstery. 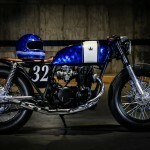 The gas tank, with a classic Laverda fuel cap, comes from a vintage Honda CB550 and is slightly modified to fit on his modern successor. The rear wheel is original and got a new NG brake rotor with a new DID gold chain and sprockets. 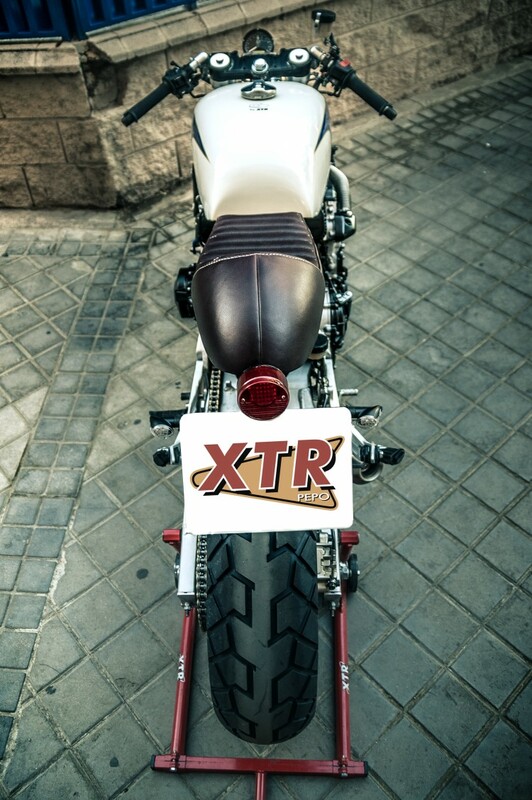 Like most of his builds, he created a set of side plates with racy numbers on it to underline XTR’s racing heritage. The rear light comes from Montesa and is integrated with a custom license plate brackets and integrated indicators. The rear shock comes from Öhlins, which is not a big surprise. For some more air he used DNA filters and a Supermario 4 in 2 exhaust system with Spark megaphone mufflers. To make the engine run better, they’ve used a Dynojet kit and rejetted the carburetors.